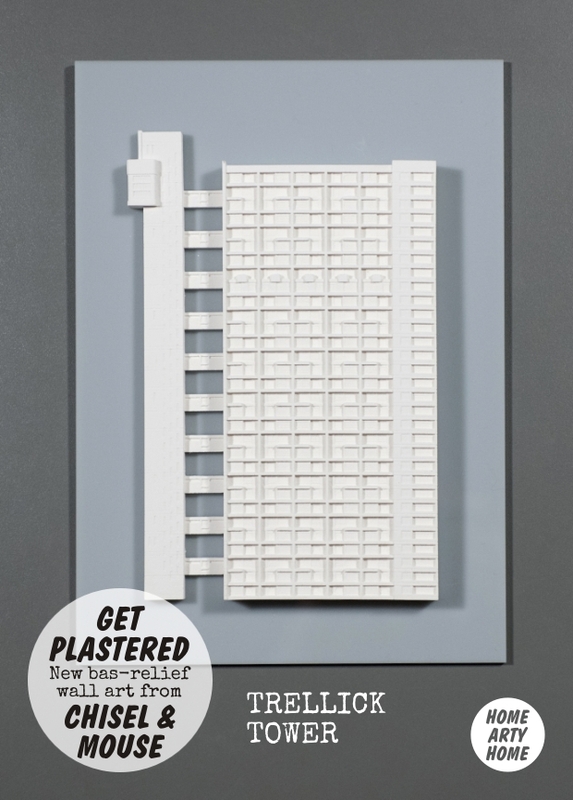 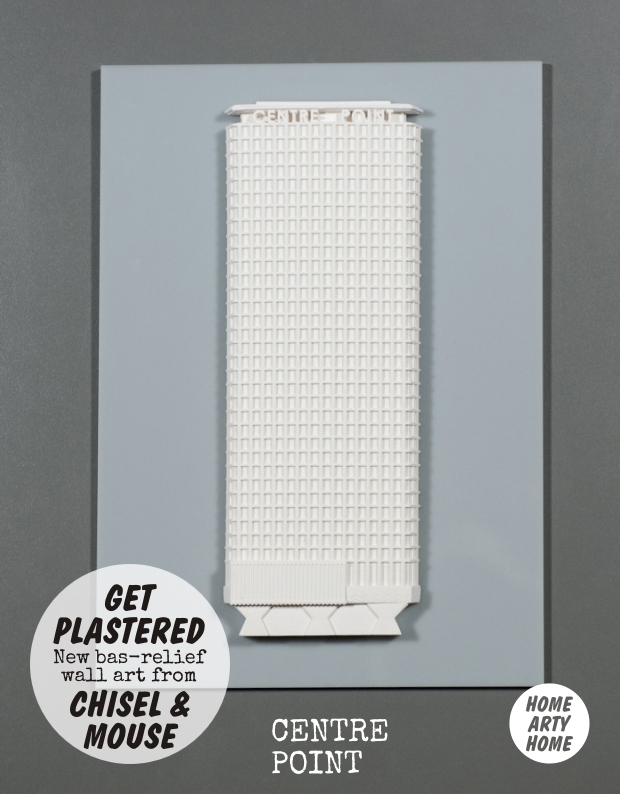 Chisel & Mouse is a family business based in East Sussex, owned by brothers Robert and Gavin Paisley, who have been creating stylish plaster models of buildings since 2011. 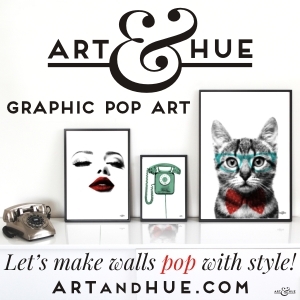 Home Arty Home loves their renderings of modernist and art-deco structures which would look great in any interior. 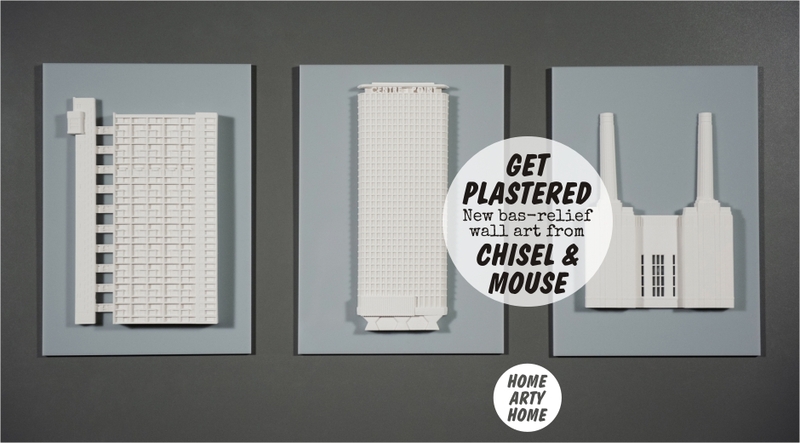 As well as free-standing pieces, Chisel and Mouse have been busy crafting new architectural sculptures and have just launched a mini collection of wall-mounted models. 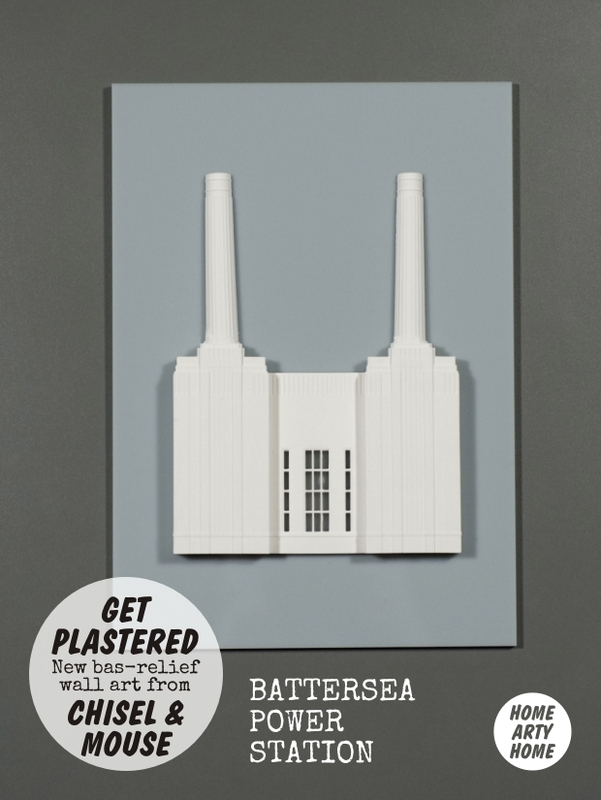 The new range of A4 sized, perspex & plaster wall art includes the iconic London landmarks of Battersea Power Station, Centre Point and Trellick Tower. 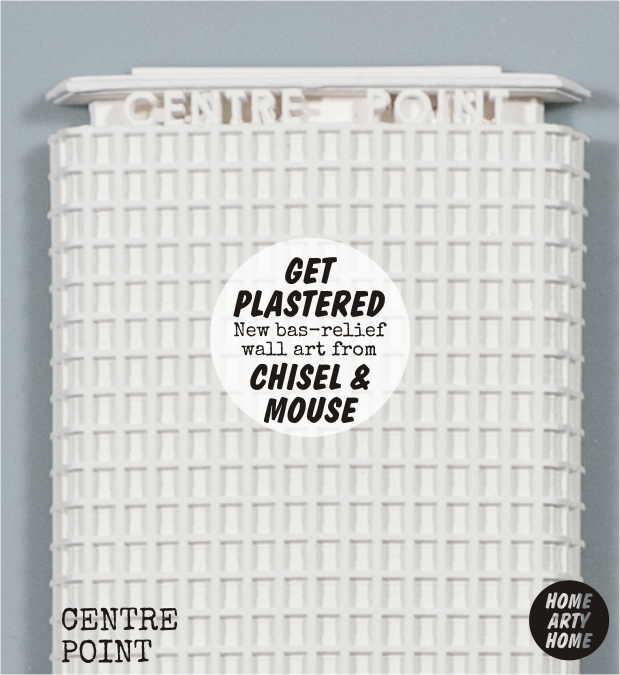 Available exclusively from the Chisel & Mouse website.